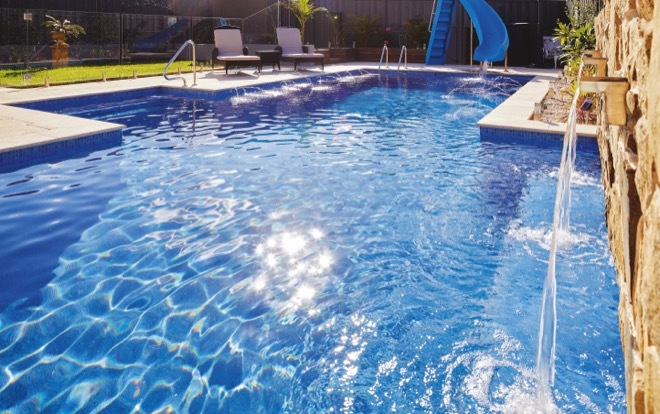 When the clients are water sports enthusiasts with school-aged children, this is the kind of marvellous creation you can expect to receive with thanks to Jade Swimming Pools. 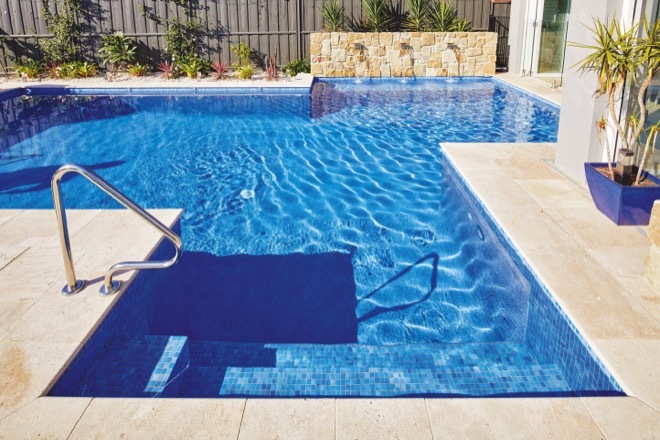 The geometric pool consists of a water slide for the kids, as well as a water feature along the side wall. 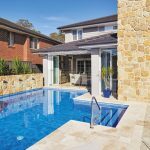 This presents an outdoor space everyone can enjoy – both a child-friendly playground and a resort-style atmosphere for the adults. 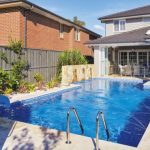 The owners also requested that their mother’s needs when using the pool be given consideration, so a grab rail was installed, as well as a ladder for additional access for other family members. 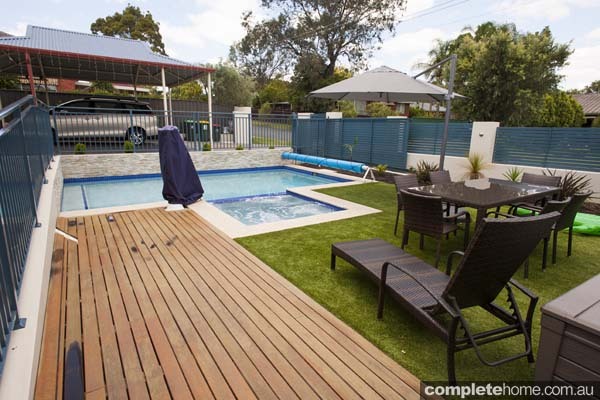 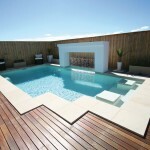 This pool certainly isn’t limited in versatility and caters to everyone, no matter what age they are. 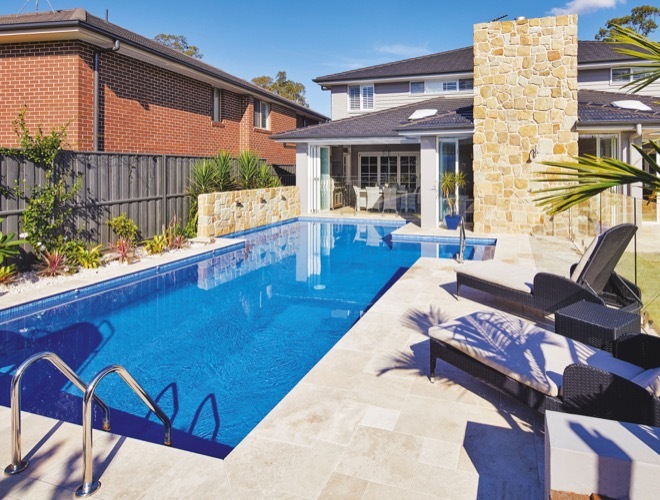 Situated on an 855m² block with a slope at the front of the property and wide frontage tapering towards the rear, the pool and surrounding area offer plenty of room to entertain on the outdoor sun lounges and for the children to run around and play. 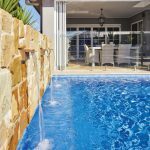 Sophisticated glass fencing enables the pool to be viewed from the outdoor dining area, creating a striking focal point when entertaining. 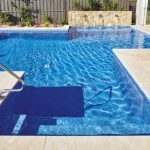 Jade Swimming Pools believes that taking into consideration the clients’ desires and expectations to ensure the end results are what they envisaged are the principles of good design. 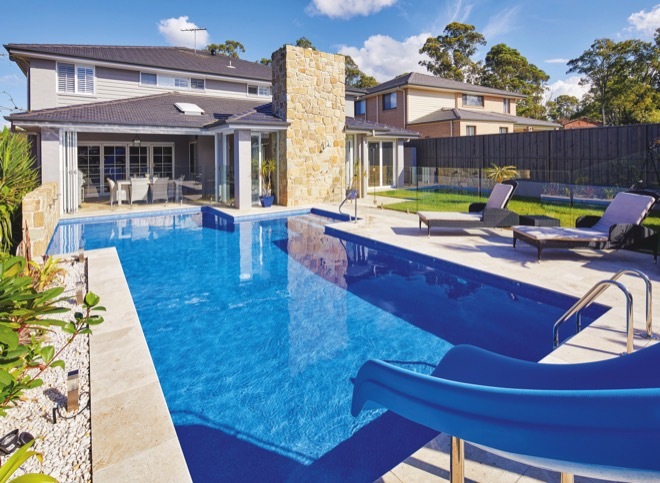 There is no doubt here the owners and their family and friends will be enjoying the glistening waters of this modern pool for years to come. 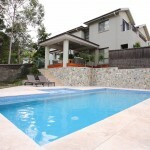 At Jade Swimming Pools, providing clients with their vision is a key ingredient to the company’s many years of success. 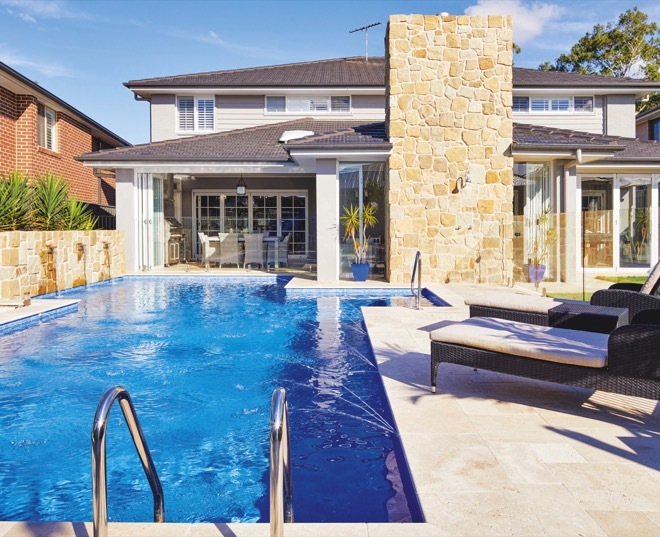 Through in-depth consultations using 3D imaging, the Jade Swimming Pools team visually walk clients through their dream pool area before it is even built, ensuring the finished product remains true to its surroundings and the client’s needs. 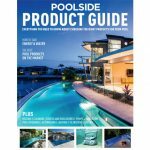 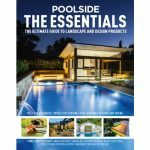 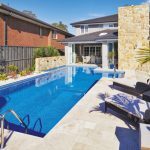 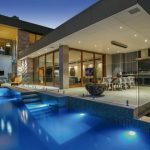 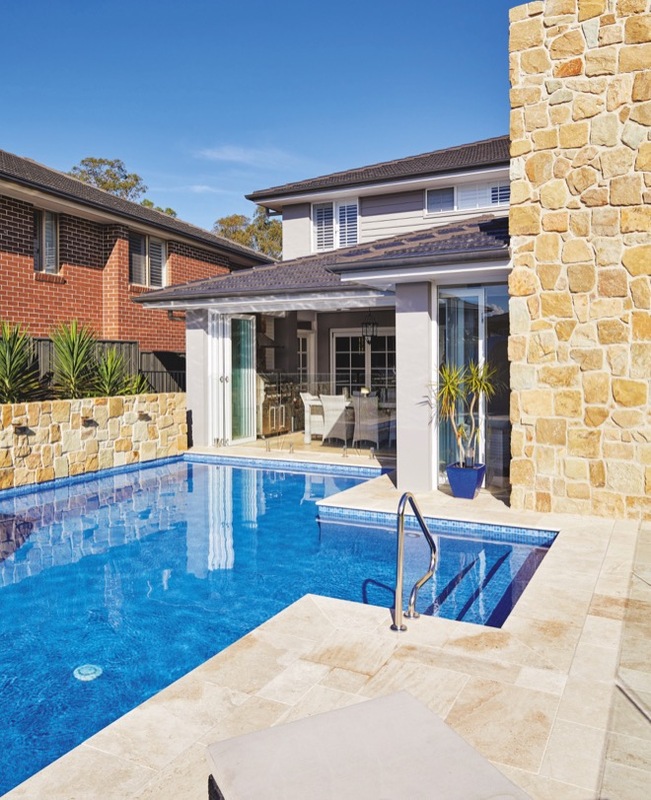 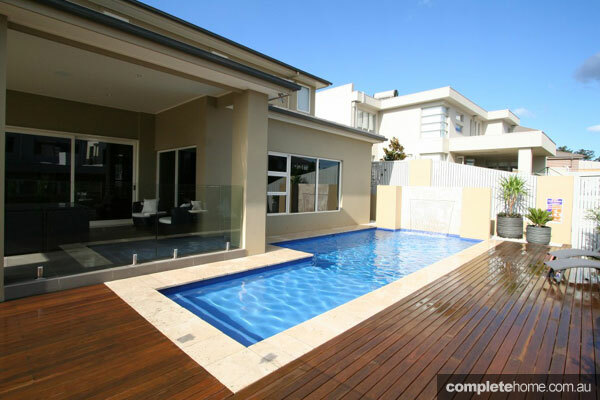 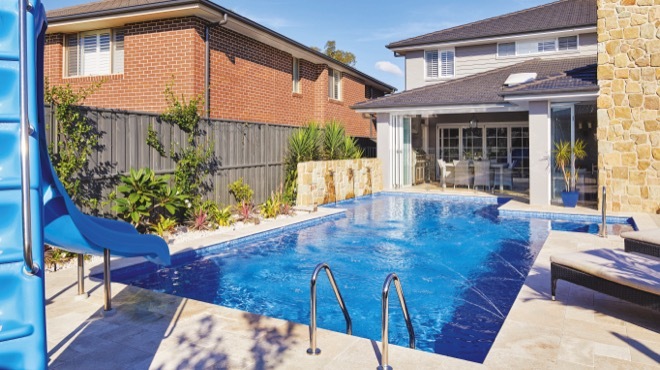 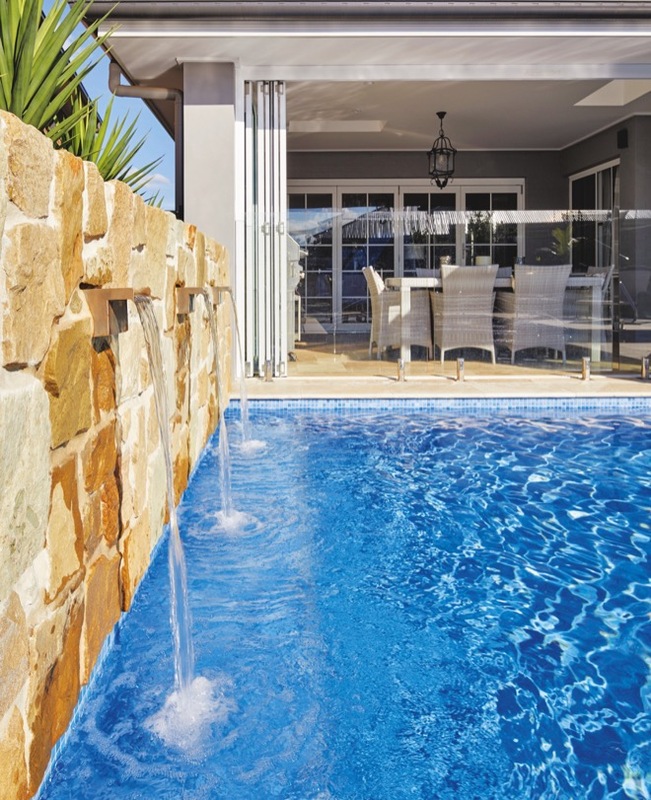 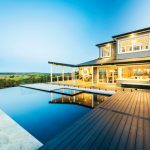 This approach has seen Jade Swimming Pools win several SPASA and Master Builders Association awards over the years at metropolitan, state and national levels, including eight accolades in 2015.